The OMB-Series of replacement cartridges feature the new OmnipureBlock media. This high quality carbon block media is manufactured from raw materials to precise specifications entirely at the Omnipure manufacturing facility. 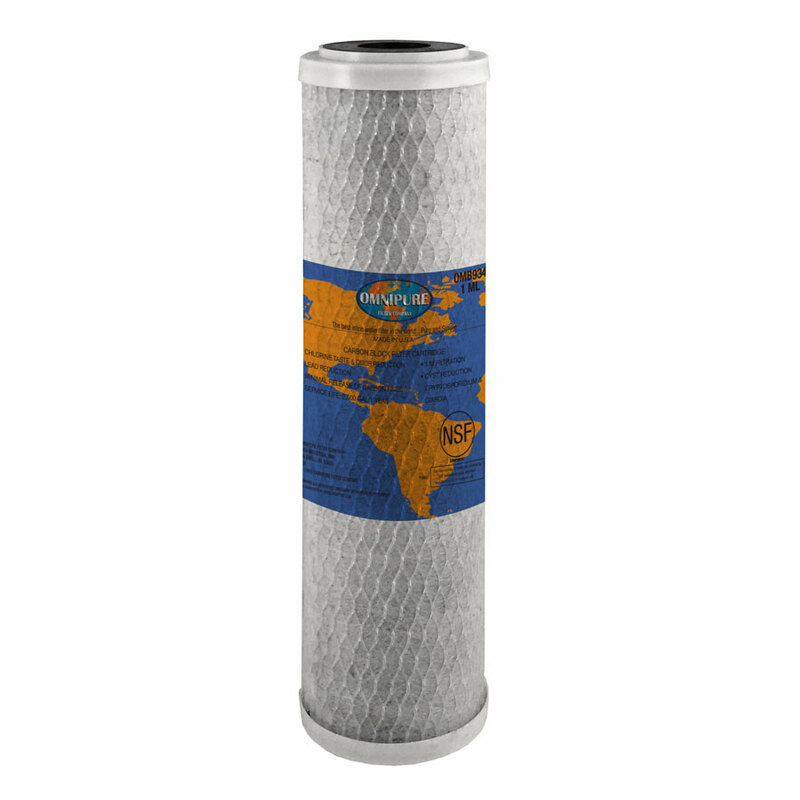 Filter elements are available in 10 micron, 5 micron, 1 micron and 1 micron lead reduction formulations. Elements are finished with a single layer of spun-bonded polypropylene netting. Polypropylene end caps with compression gaskets are standard. Ask your Omnipure representative about custom formulations and alternative finishing options.